This one-ounce (oz) silver ingot, or 31.10 (g), is produced by the world-renowned precious metals refinery, PAMP Suisse. 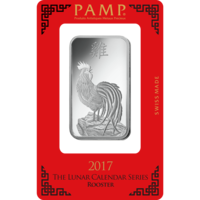 The ingot has a beautiful design specially designed in honor of the Chinese Lunar New Year. 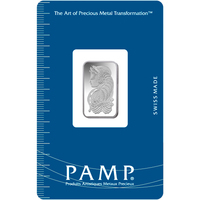 PAMP Suisse is the world's leading manufacturer and refiner of silver. He is credited with a very respected name and reputation. With the products from PAMP Suisse, you can also count on exceptional quality. Since money is known to have maintained its value throughout history, it remains to this day one of the best ways to preserve wealth and gain added value in the long run. Indeed, the price of silver has countered inflation and periods of uncertainty, making it a safe haven for many investors. 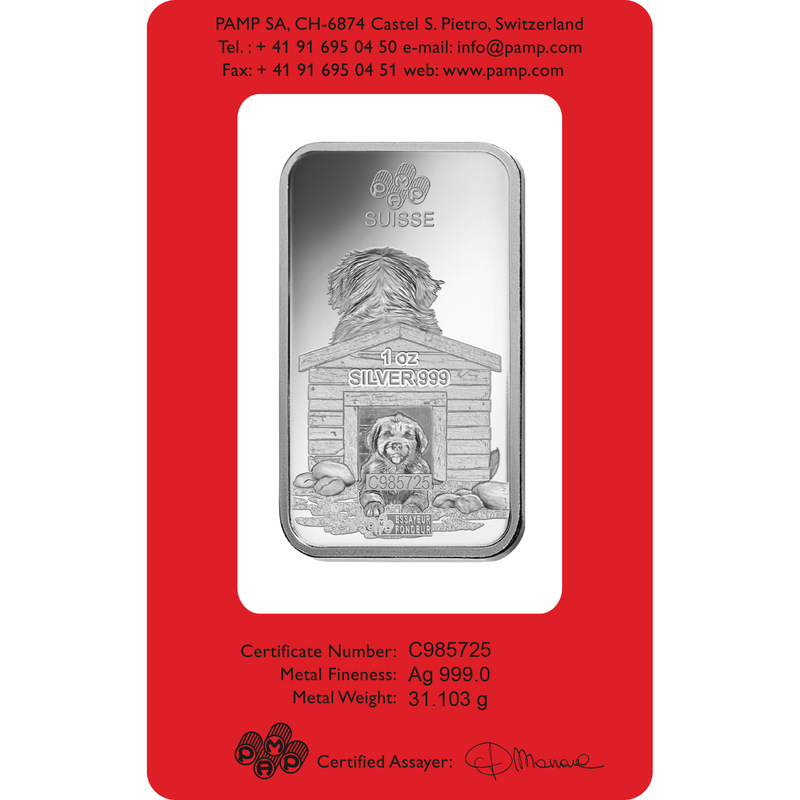 The purchase of a silver PAMP Suisse bullion is the perfect opportunity for a new investment and more accessible than other precious metals. 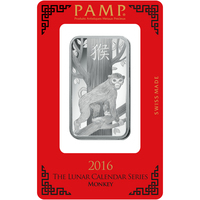 The one-once (31.10g) silver PAMP Lunar Dog Bar features the brave and loyal Dog. On the obverse side of the ingot, a Golden Retriever is put in front, sitting in front of his kennel. Above the Golden Retriever, the Chinese symbol of the word "dog" is displayed with elegance. The opposite side of the ingot has the rear view of the Golden Retriever and its kennel. This side also includes additional elements such as the weight of the ingot, the purity of silver and the unique serial number assigned to each ingot. Take care of your PAMP ingot using protective gloves when handling. This will protect your precious metal against scratches or accidents. 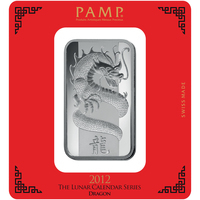 The silver ingot can also be stored in a PAMP safe. 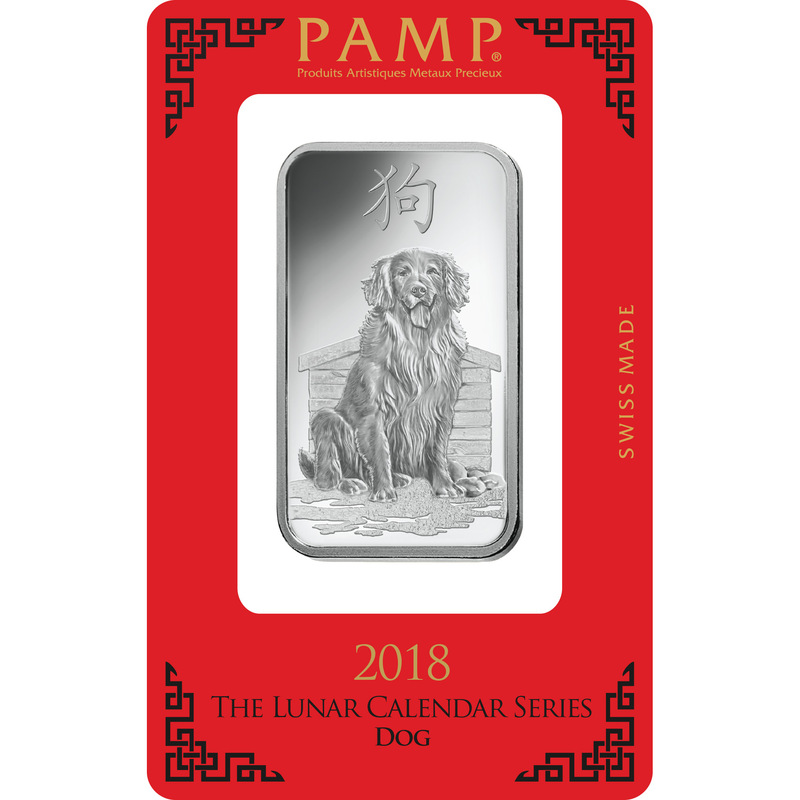 This beautiful Silver bar aims to celebrate the Chinese Lunar New Year, an important annual holiday in China, and anyone born in the Chinese Year of the Dog (1934, 1946, 1958, 1970, 1982, 1994, 2006 and 2018). The dog occupies the 11th position in the Chinese Zodiac, and he ( and anyone under his sign) symbolizes character traits such as loyalty, compatibility, and kindness. As specified by the famous Chinese myth, the Jade Emperor decided the order of the animals based on a quest, to see who would reach his royal celebration first. The Monkey, the Dog, and the Rooster were outside of the Empire fighting evil spirits, and so they arrived together. The Jade Emperor was impressed with their grand deed and honored the animals their position - honoring the Dog with the eleventh position.